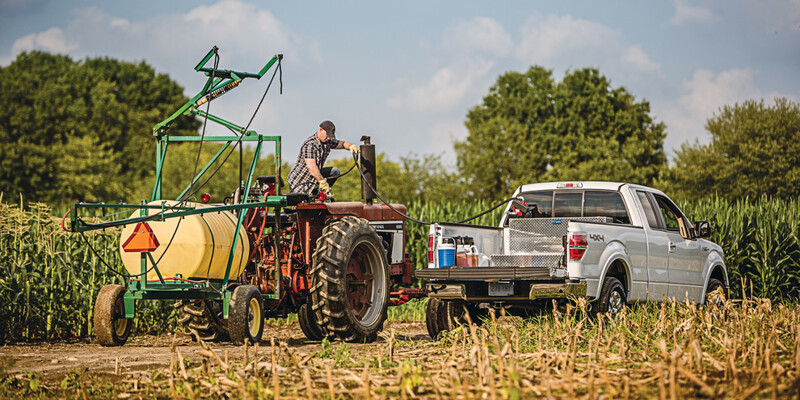 Whether you’re transporting chemical solutions to the next jobsite or refueling your machinery on the farm, a UWS transfer tank makes it easy to get the job done quickly and safely. We offer transfer tanks in multiple styles and capacities, and each is equipped with a commercial-grade vented cap for professional ventilation. 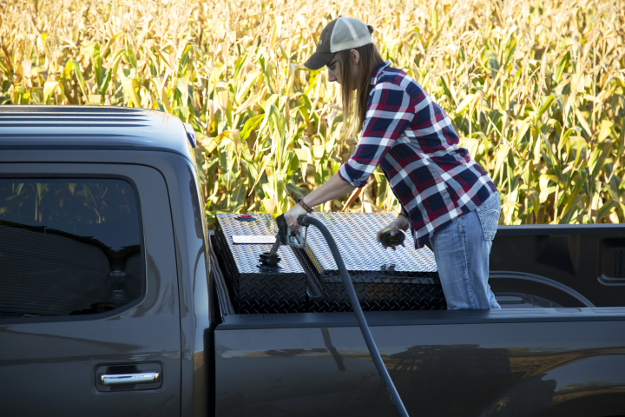 A transfer tank is the perfect way to turn your pickup truck into a mobile refueling station or commercial work vehicle. UWS transfer tanks are ideal for transporting non-flammable liquids, including diesel fuel, pesticides, cleaning solutions, water and much more. Each UWS transfer tank is fitted with a commercial-grade vented cap. This allows for proper ventilation while maintaining easy, as-needed access to the interior contents. Our transfer tanks are also equipped with a drain plug to allow liquids to be completely emptied whenever necessary. For maximum strength and structural integrity, UWS transfer tanks are available with an extra-thick aluminum construction. The 0.125” aluminum plates are welded together into a single piece to prevent leaks and withstand the rigors of the jobsite. 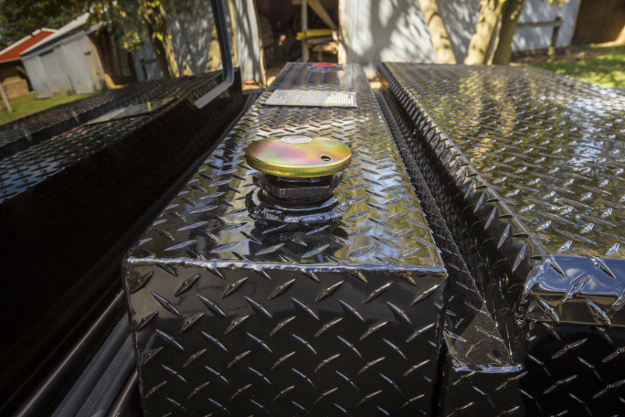 For secure mounting in the truck bed, each box also has welded aluminum tabs along the bottom that provide a solid attachment point for bolting the transfer tank into place. To fit any truck or job -- from entire fleets to one-man operations -- UWS transfer tanks are available in multiple styles and capacities. 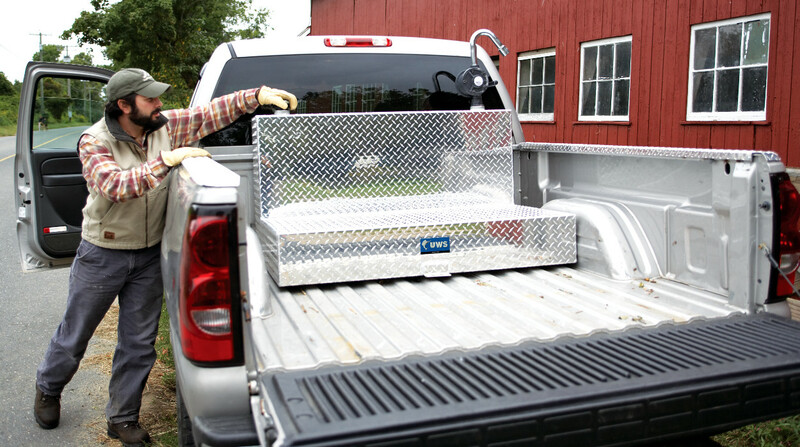 We offer a standard rectangular transfer tank as well as an L-shaped transfer tank to be compatible with a crossover truck tool box. 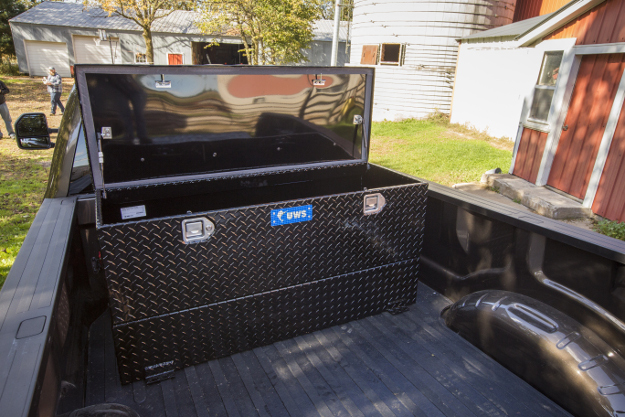 We also offer combo transfer tanks that feature a tank and built-in tool box compartment. All UWS transfer tanks are available in multiple capacities, ranging from 45 gallons up to 101 gallons. We also offer various finish options, allow you to select the look that best complements your truck. 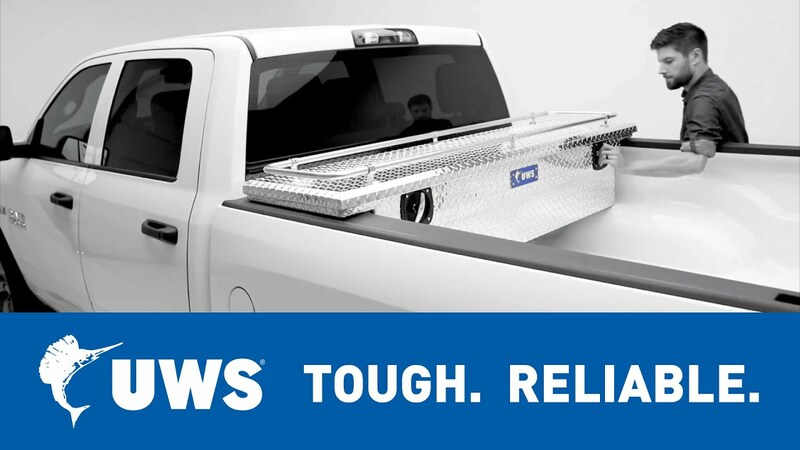 A UWS combo transfer tank is an excellent way to transport non-flammable liquids to on-site vehicles or equipment and optimize the storage space on your truck. The integrated utility chest built into the transfer tank features our patented RigidCore™ foam-filled lid, giving enhanced strength and structural support. The lid is also equipped with self-opening struts and a MicroSeal™ gasket. The struts provide easy, one-hand operation of the lid for added convenience when your hands are full. The MicroSeal™ gives the tool box an extra barrier from the outdoor elements and other threats, sealing off the seam between the tub and lid. For dependable security wherever the job takes you, UWS combo transfer tanks are built with stainless steel locking handles. Stainless steel gives the locking mechanism reliable strength, while simultaneously promoting durability and long-lasting corrosion resistance. 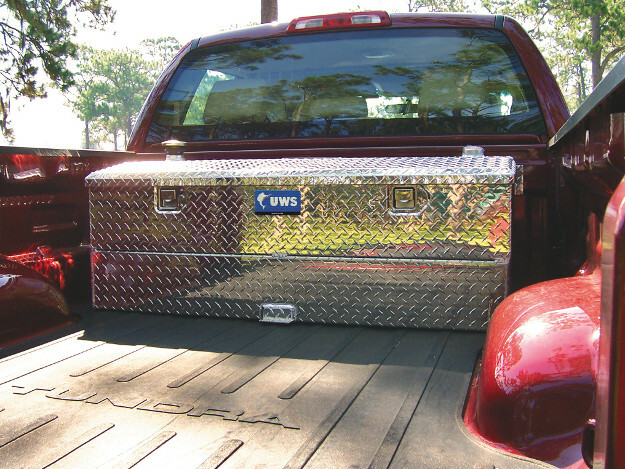 Each combo tool box also has an interior connecting rod that synchronizes the latches, allowing the box to be opened from either side of the vehicle after being unlocked. The connecting rod is protected by an enclosure, preventing cargo inside from jamming the mechanism.